Kim and Greg Christie of Bay Cities Refuse discussed composting, recycling, and waste. Keep an eye out for Floating Times updates on what items go in which bins. Jen Gennari confirmed that Artists at Issaquah will be held on September 8. This newsletter now has 192 subscribers. Editor Larry Clinton encourages everyone to submit stories and photos about people and events in our community. Coastal Clean Up Day is Saturday September 15th at 9:00 a.m. Jen Gennari’s Environmental Committee welcomes volunteers to clean up areas of the floating homes community, and to join a free barbecue lunch at the Bay Model afterward. The next E-Waste collection event will be on October 12. Further information on both these events will appear here in the Floating Times and on dock bulletin boards. There have been four private tours so far this year, with three more scheduled. The goal is 10 tours. If you know of a group that may be interested, please contact Katherine Boschetto. Barbara Rycerski and Michael Lewis of A Dock are planning to attend the Seattle Floating Homes Tour on September 9. Residents of Waldo Point Harbor discussed some recent landlord-tenant disputes. The Harbor Equity Group will follow up with WPH Management. Financial Benefits Credit Union is now Financial Partners CU. 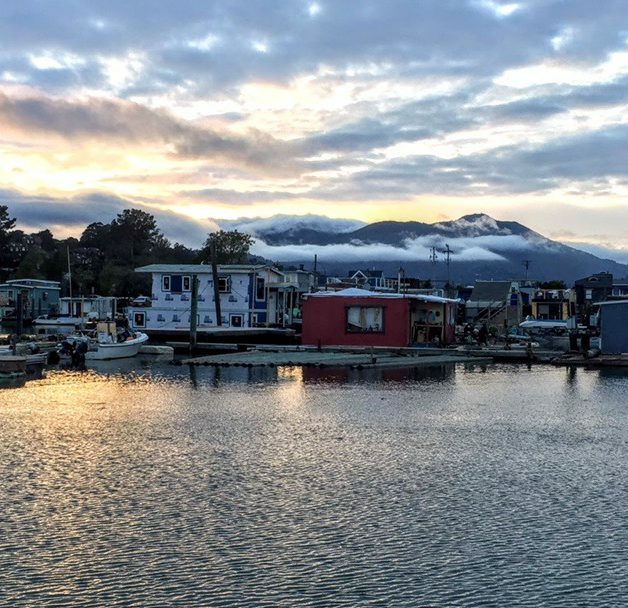 New management has decided it will no longer lend on floating homes. Current loans will continue to be serviced by the credit union. This was an Open Forum Meeting, and some residents attended as observers. The next Open Forum Meeting is scheduled for Tuesday, September 11. FHA Board Meetings are held the second Tuesday of each month at 7:00 p.m. in the Community Room of the Public Safety Building in Marin City.